With close to 400 locations in Brazil and more than 30 years in business, Giraffas has brought their multicultural cuisine to Orlando. 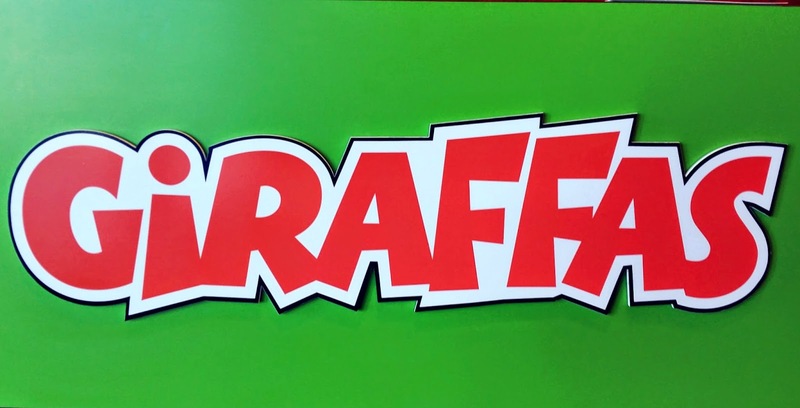 The Giraffas brand has two locations in Orlando with the first location opening on International Drive and the second one, that I visited, in Mills Park on North Mills Avenue. 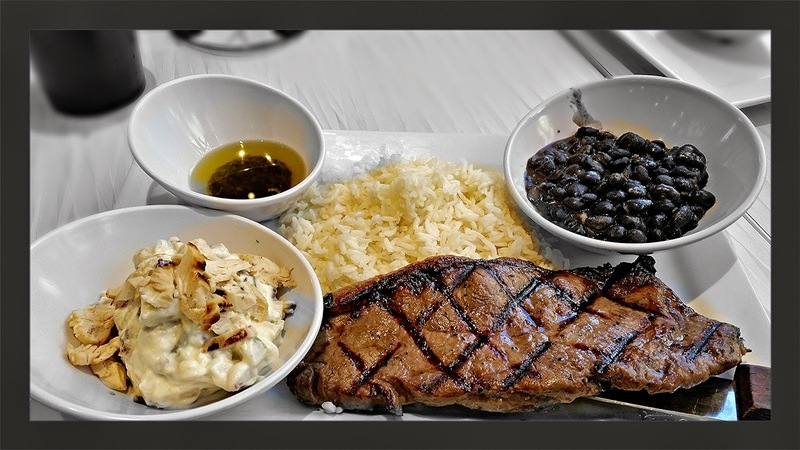 The cuisine is one that combines a touch of American favorites with a dash of some popular Brazilian items. Giraffas goal is to combine value, service, and quality in a fast casual atmosphere. The menu is pretty simple and not overly complicated. Once you order your food at the counter you are given a number and can seat yourself. A staff member will then bring your food out to you. The menu consists of burgers and an offering of grilled meats. The burger selections are a cheeseburger for $5.90, a double cheeseburger for $7.90 and a grilled chicken breast sandwich for $5.90. For no additional charge guests can accompany any burger with a choice of Hampton Creek Just Mayo’s Mayo, Garlic or Sriracha. For another $1.00 per topping, you can "Boost your Burger" with bacon, ham, fried egg or extra cheese. of toppings - a fried egg, ham, bacon, cheese, lettuce, tomato & mayo. 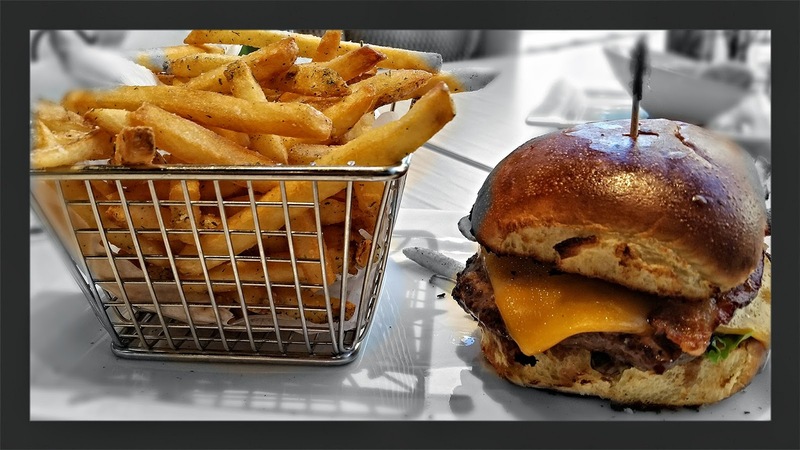 The burgers don't come with any sides, so you have to pay an extra $2.50 for your choice of traditional fries, seasoned fries with rosemary garlic & parsley or a small mixed greens salad with red onion and cherry tomatoes tossed in balsamic dressing. Contra filet (New York strip), baby back ribs or shrimp for $ 12.90 or a chicken breast filet for $9.90 and a salmon filet at $13.90. All grilled items come with a choice of three sides included in the price. Side selections include white or brown rice, black beans simmered in sauteed garlic & bacon, traditional or seasoned fries, mashed potatoes, small mixed greens salad, grilled veggies or Quinoa. All grill selections also include a sauce to accompany your meat. Sauces available are Brazilian vinaigrette, Chimichurri, Bahia butter, garlic butter and Brazilian BBQ. Both of my dining companions ordered Cheeseburgers with seasoned fries and Just Mayo. The fries were delicious and cooked wonderfully and the burger was cooked to a nice medium temperature. I went with the Contra Filet, black beans, rice and a side of salpicao (Brazilian chicken salad) with a side of Chimichurri. My steak was cooked well and had a great flavor, but had a tad too much fat on it. The sides were good. 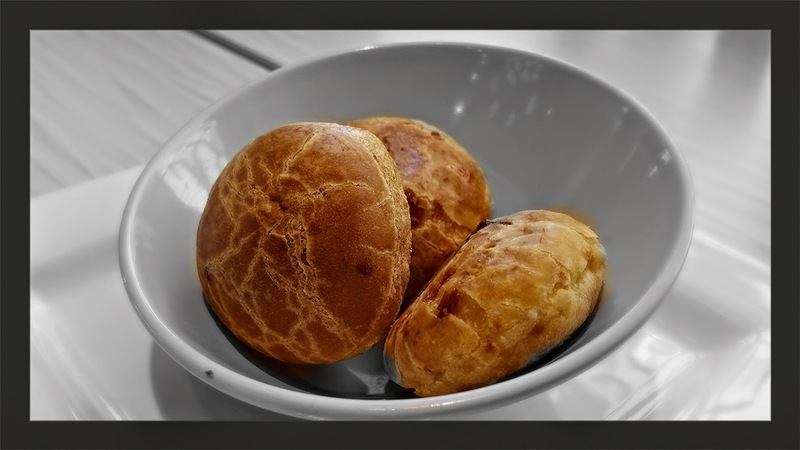 No visit to Giraffas is complete without an order of Pao de Queijo which is the authentic Brazilian warm cheese bread. These are two for $1.00, and are very addictive. 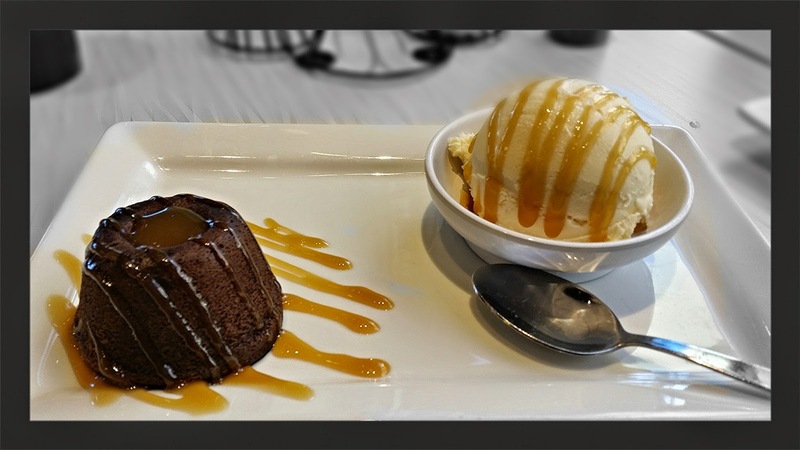 For desert we ordered the Chocolate Petit Gateu that is served with ice cream and drizzled with your choice of Ghirardelli caramel, chocolate or raspberry sauces. We did one with caramel and one with raspberry. Both were delicious. Here is my dilemma...I really liked Giraffas and enjoyed all of the food, but for some reason, it was not a very memorable dining experience. When I think of Picanha, I think of Texas de Brazil or Fogo de Chao. I appreciate the offerings on the grilled menu, but perhaps I'm too Americanized to not think of all you can eat Brazilian meat buffets when ever I think about Brazilian food. The food is good here, and I think its a worthwhile place for you to visit, I just cant say that its a place that would cross my mind when Im out and about and thinking of my dining options. And no...They do not serve Giraffe Meat.